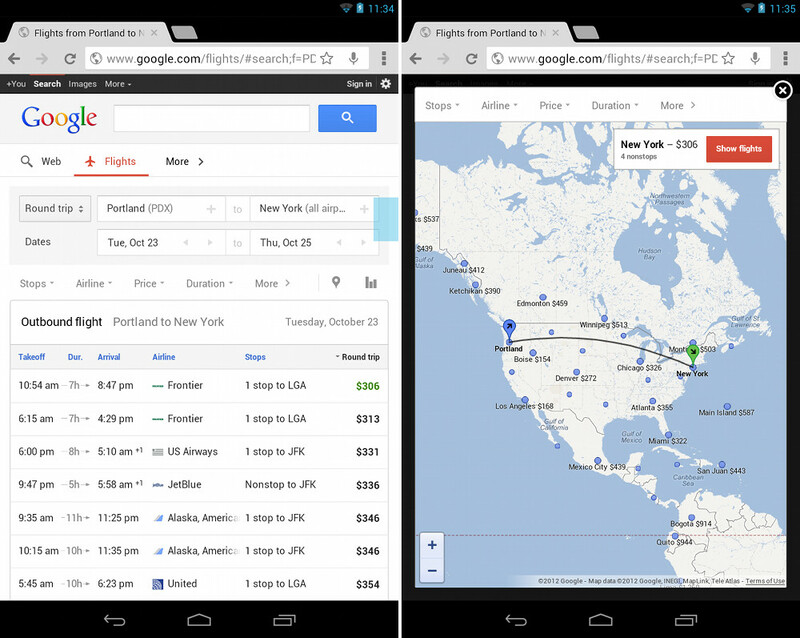 Are you using Google Flights to book flights, yet? You should be. I’ve been on the Google Flights bandwagon for almost a year now, and for the most part, book every single flight through it. For those not familiar, think of it a bit like Kayak, only it’s not as spammy, doesn’t pop up 18 windows every time you search, and really does seem to get you the best deals on flights. Once you find a flight to book, it allows you to choose where you book it from – directly from the airline or through a dealer like Orbitz. Today, Google announced that the site has been optimized for tablet use. It’s worked fine on smartphones for a while now, but the tablet version seems to have a few extra features. It really does work well, especially if you are no where near a computer. Rumor: RAZR HD and MAXX HD Delayed Because of Antenna Issues?